Here is your opportunity to own a JESUS CHRIST - LAST SUPPER colorized American Silver Eagle Dollar U.S. coin, which has been beautifully colorized by The Merrick Mint. The American Silver Eagle Dollar coin is genuine legal tender struck by the U.S. Mint. It is minted in one full ounce of .999 PURE SILVER and measures a massive 40.6mm in diameter. To keep your coin safe and in peak condition, each coin is showcased in a deluxe black felt coin display gift box, as shown. 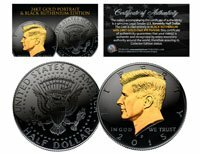 This Legal Tender United States coin has been colorized with an application of special inks directly to the surface of the coin, using a unique and painstakingly multi-color coin process, which achieves a level of detail, color saturation and durability that is #1 in the coin industry. The result is an everlasting colorized coin collectible of ultra-high quality.